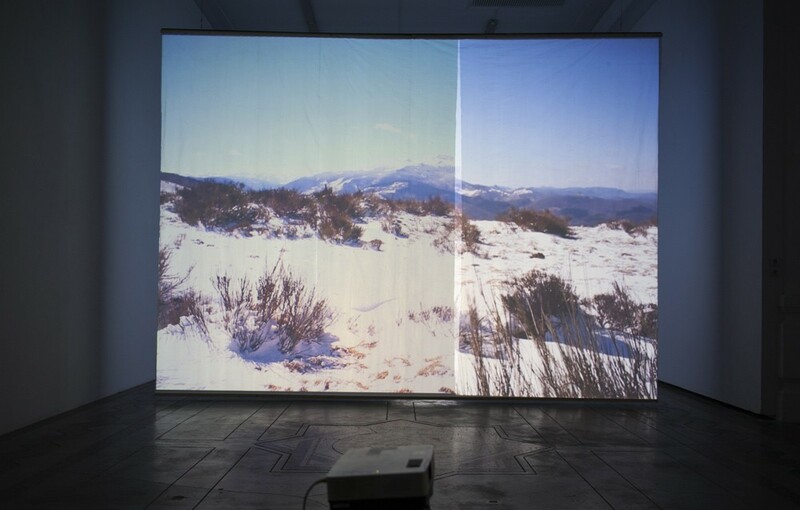 This installation is conceived to rework the projected image. This happens actively via two video-projectors that each project part of the same filmed image onto two screens. The background of the image is necessarily seen first (being opposite the entry point of the room). The viewing order of the image is re-ranked and inverted. 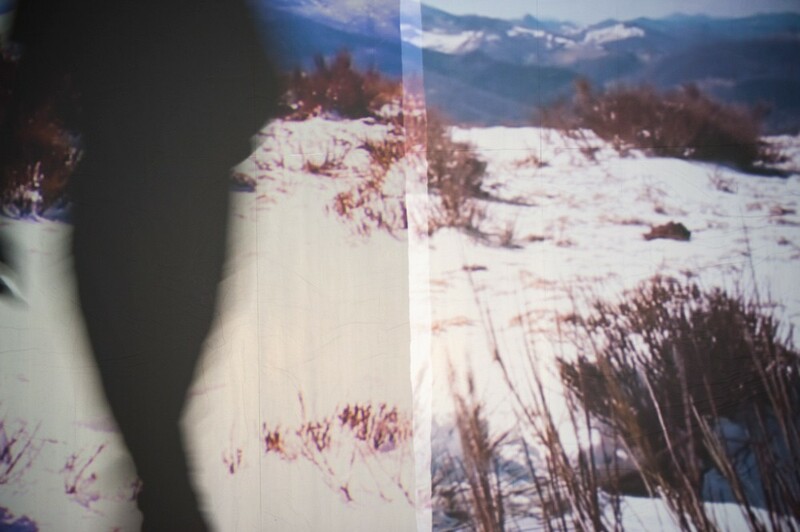 The geometrically pertinant placement of the projection elements creates an active cut in the new “background” image, while simultaneously isolating the subject at several meters from her frame. This cut in the image could speak about a fantasy of the erasure of Man from the natural landscape, except that he is right in the middle. A background becomes frontal, a filmed image becomes a veil that hides a space from view, an absence becomes an enigma, questioning. 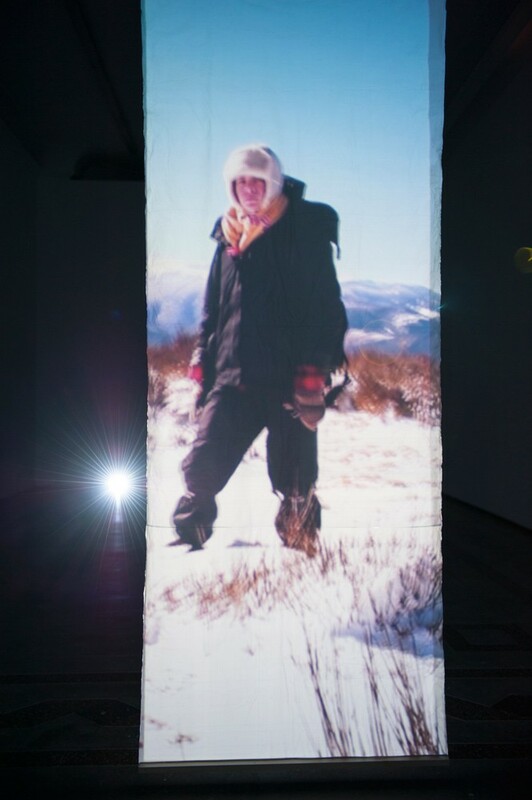 The hiker is simultaneously absent and central, depending on which side of the installation the spectator is placed.